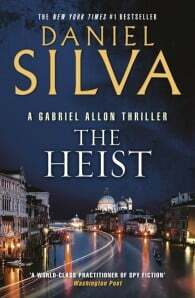 Master novelist Daniel Silva has thrilled readers with sixteen thoughtful and gripping spy novels featuring a diverse cast of compelling characters and ingenious plots that have taken them around the globe and back-from the United States to Europe, Russia to the Middle East. His brilliant creation, Gabriel Allon-art restorer, assassin, spy, has joined the pantheon of great fictional secret agents, including George Smiley, Jack Ryan, Jason Bourne, and Simon Templar. 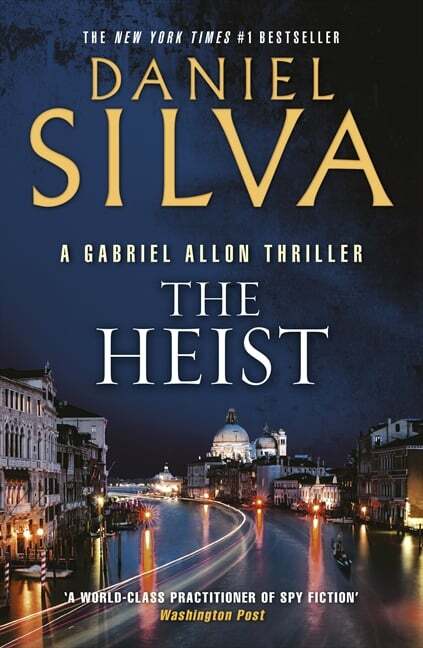 The Heist is another powerhouse of a novel that showcases Daniel Silva’s outstanding skill and brilliant imagination, and is sure to be a must read for both his multitudes of fans and growing legions of converts.